Dr. Julie Brefczynski-Lewis is a Research Assistant Professor in the Department of Physiology and Pharmacology at West Virginia University. She received her PhD in Cell Biology, Neurobiology, and anatomy from the Medical College of Wisconsin. She then went on to do postdoctoral fellowships at the University of Wisconsin-Madison and West Virginia University. Julie is with us today to tell us about her journey through life and science. The Brefczynski-Lewis lab is testing the effectiveness of compassion meditation to help with deal with the stress and negative emotions related to difficult interpersonal relationships. Difficult relationships can lead to angry rumination which can put people at risk for depression and anxiety over time. In addition, stress hormones like cortisol can have negative health effects if sustained over time. Julie has found that compassion training changes brain responses to the faces of difficult people. Her lab continues to examine the neural and physiological responses “problem people” in our lives, testing both neural responses and physiological responses related to stress. 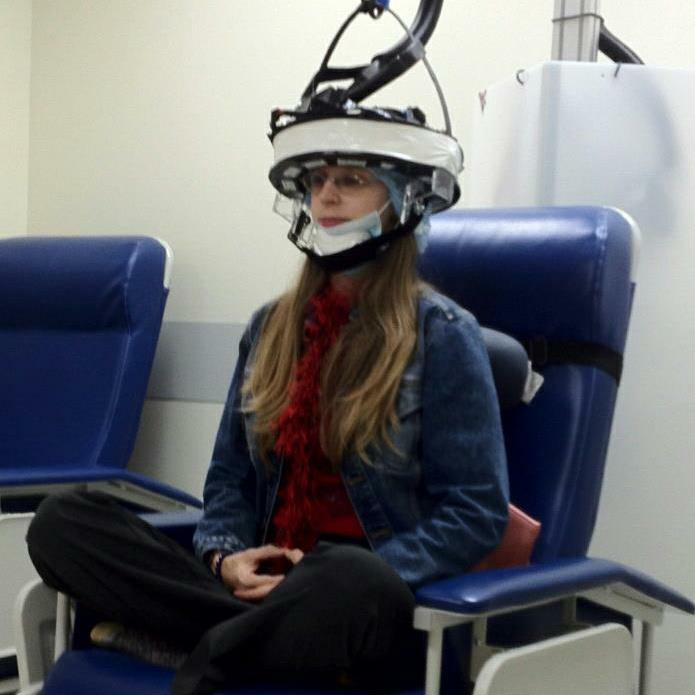 This project tests brain responses, heart rate and saliva stress hormones (cortisol and alpha-amylase) in response to difficult person stimuli with training in Compassion vs. an active control. Her research involves design and creation of stimuli, running participants in experimental sessions outside the MRI as well as combined fMRI and heart rate and eye tracker (the latter two systems are MRI compatible), and analyzing data.